I remember when everyone used to get these things like ten years ago on holiday - I don't actually think I ever got one though. I probably did, but either way I thought they were the best thing ever back then, and the love for them has slowly come back. 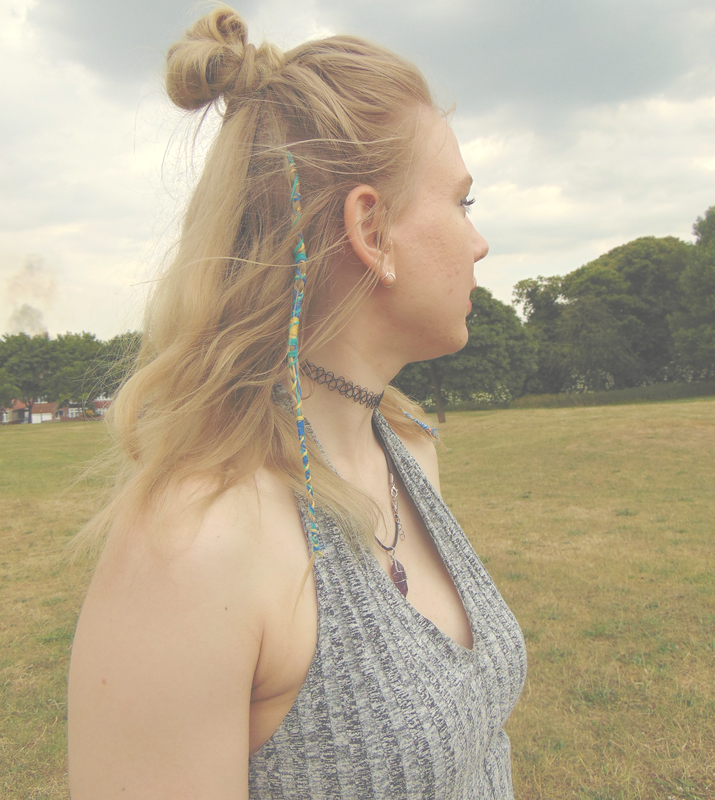 I sat looking on Pinterest for about half an hour they other night, looking for hair wrap inspiration (because where else would you go for inspiration? ), and I've come to the conclusion that I really like the ones that are a bit on the messy side of things - you know, hair showing through, the colours criss crossing and merging into one another. I think it gives a more bohemian look compared to the neater versions. They are so easy to do as well - you just braid a small section of hair and tie s few strands of embroidary thread around the top of the braid. The length of the thread really depends on how many different colours you are planning to use, and how many times you are going to wrap each colour around, but a good starting point is three times the length of your braid. You then wrap each thread around the braid tightly, swapping the colours as you go, and tie a knot at the bottom to finish it off - easy! Okay, it is a tad fiddley to do on your own hair, but it's pretty easy to get the hang of. I can't wait to rock up to Glasto with these in. 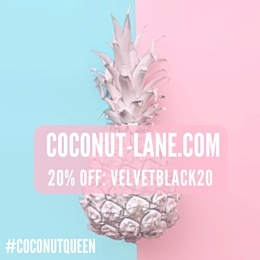 love your hair great post! Eeep! 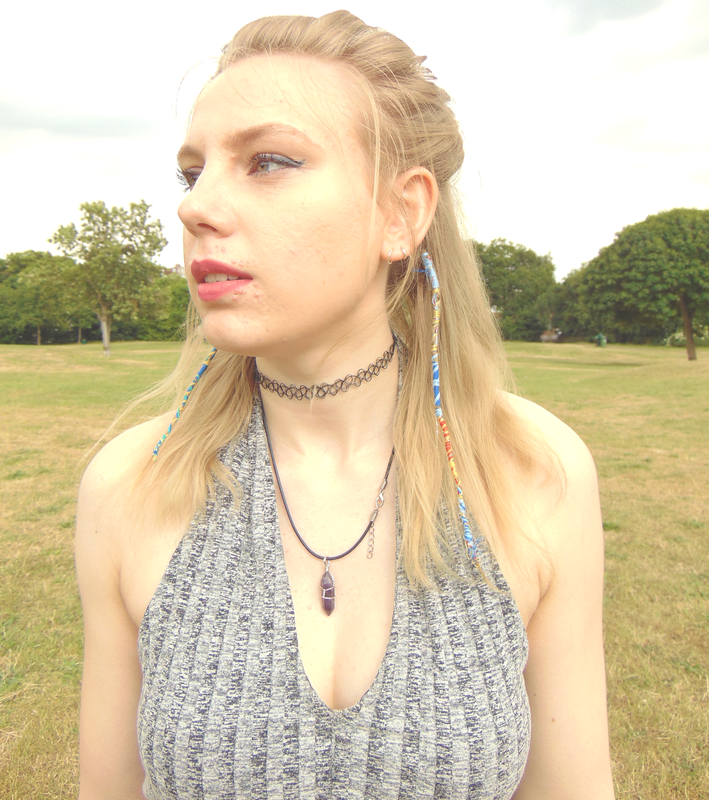 I love hair wraps and yarn braids! I still do it even though my hair is super short now. I braid the yarn with my hair till' it reaches my waist and it feels like I have long hair again Hahaha! Wow, these look great, especially with that outfit! 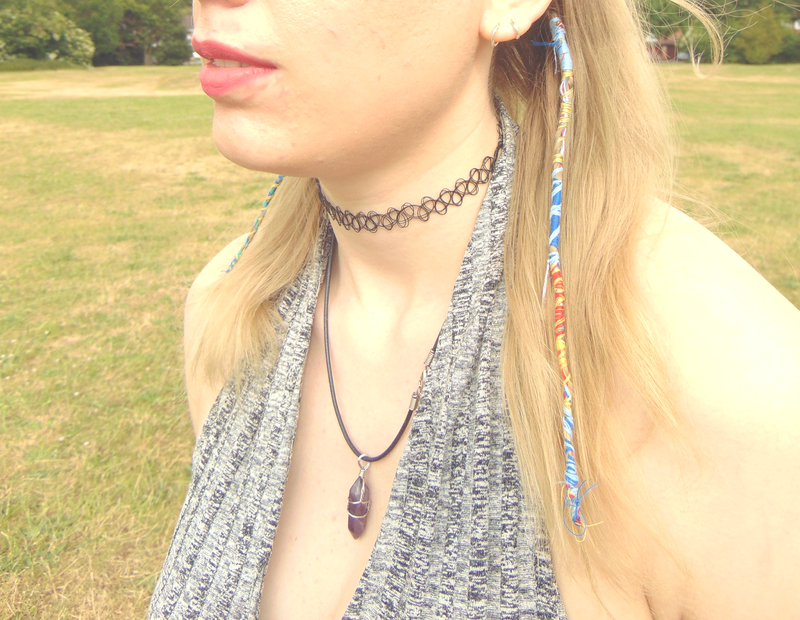 You rock those hair wraps! Your wrap looks so pretty and awesome. I remember I got one done when I was about 13 in France. I think I removed it by cutting it off. Ok so I definitely know what I'm going to be spending my weekend doing! I remember when these were all the rage as well but I never went away when I was little :( Then my friends got a Babyliss thing that used to do them and they did them for me from home, it was great. You totally rock this, I don't know if I'm "cool" enough for this but I'm gonna try! 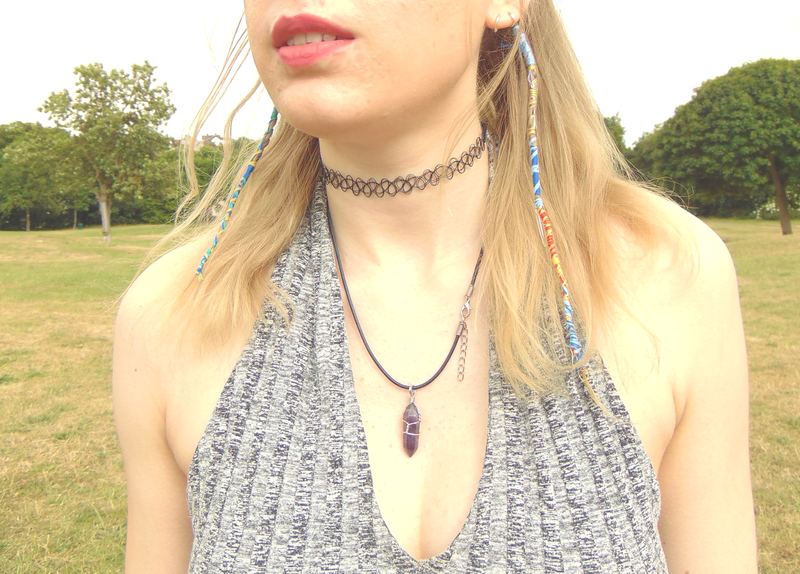 I love how your just owning all the old skoolness of 90's chokers and now the hair wraps! Kids these days really have no idea what they missed out on! Those wraps may be easy just as you say but I don't think I have the patience for them ugh, I really wish I had one right now! use to always have these! <3 they look so good all messy! nice colour choices to! How cool! I never got one of these, but I love the bohemian look of them. Great post! ahh memories! I used to always get purple or blue ones in my hair! Cute! I used to ask for one every year on my holiday but I was never allowed one because my mum didn't like them and she told me my hair would fall out... I think I'm going to put some in my hair now like you to make up for it! Such a great music festival look! I've literally wanted one of these for ages - i never got one on holiday and i feel like they'll look so good over summer!! You'll definitely be the one with the best look at Glastonbury! 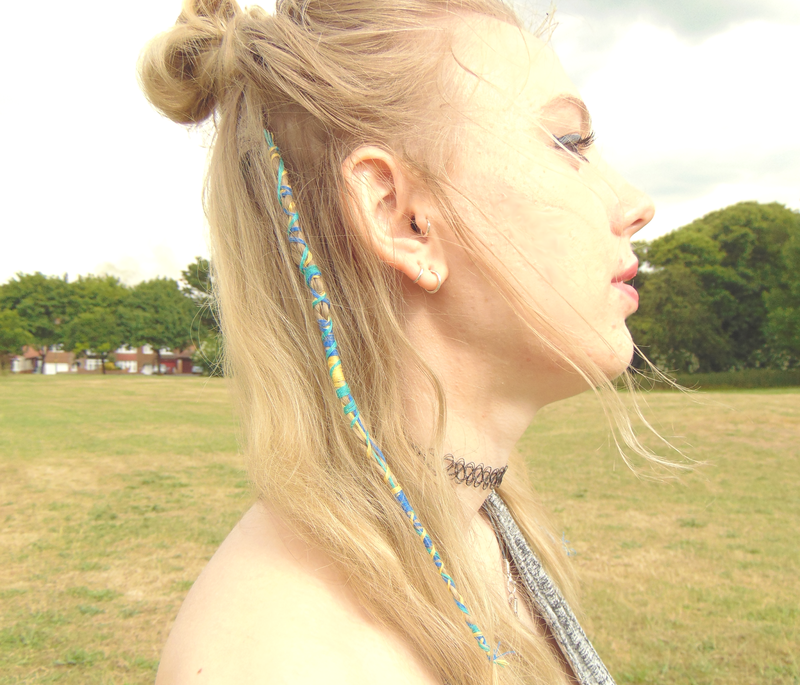 loving the hair wrap, I need to do this! These are so cool. I always wanted one but I never get to make one. It really suits. Great post. I'm looking for such a tattoo choker! Love them! Ahhh last year my housemate did these for me! Hers were very neat! I haven't tried my own but now you've said it's quite easy I might go for it... especially as that friend has left for France/Africa for a year... or you could be my new hair braider!